Kevin Buhr is a District Director with the Boy Scout of America Greater St. Louis Area Council. He leads the Cahokia Mounds District which includes Madison & Bond County. Kevin previously served as District Executive in the St. Clair District. As a commissioned professional with the Boy Scouts, Kevin’s primary role is to provide support, leadership and program opportunities to all scouts, their families and charter partners while helping to grow the scouting movement by recruiting more youth participants and adult volunteers while managing and supporting committees of supporters. Additionally, he works to involve individuals, service groups and businesses to build financial support for the scouting movement. He is also tasked with enhancing engagement between Scouting programs and area communities. Prior to the Boy Scouts of America, Kevin coached collegiate women’s volleyball for eight years at Southern Illinois University-Edwardsville, University of Kansas, and Millsaps College. A Jefferson City, MO native, he holds an undergraduate degree from Missouri State University in Education and a Master’s degree from the University of Kansas in Exercise Science. He and his wife, Emily, have two daughters, Sonya (4) and Claudia (1). They live in Edwardsville and are members of the St. Boniface parish. Kevin is a fellow Rotarian in the Edwardsville Club. Kevin enjoys all sports, backpacking, hiking, fly fishing, and is a certified ski instructor. Jim Eichhorst was born and raised in St. Louis and has a background in Non-Profit Leadership, Communications and Broadcasting. With previous experience as a 2-1-1 Call Center agent, he is very familiar with he unique dynamic that exists within service organizations. Jim has been with United Way since 2015. He has a BA in Communications with a emphasis in Public Communication and a Master of Divinity. Every day thousands of people across North America turn to 2-1-1 for information and support-whether financial, domestic, health or disaster-related. 2-1-1 is a free, confidential referral and information helpline and website that connects people from all communities and of all ages to the essential health and human services they need, 24 hours a day, seven days a week. 2-1-1 can be accessed by phone or computer. A toll-free call to 2-1-1 connects you to a community resource specialist in your area who can put you in touch with local organizations that provide critical services that can improve-and save-lives. Kurt Prenzler, Chairman Madison County IL. Kurt Prenzler was elected Madison County Board Chairman in November 2016, after serving as Madison County Treasurer for six years. He studied business and finance at the Wharton School of Business and law at the University of Illinois. As Madison County Treasurer, Kurt brought fiscal responsibility and ethics to the Treasurer’s Office. He reduced the treasurer’s office budget by 30 percent, stopped no-bid county investments, automated the tax sales, and tripled investment deposits in local banks from $30 to $90 million. As Madison County Board Chairman, his top two priorities are to reduce the county tax levy without compromising services, and improve ethics in county government. Prior to his election to the office of Madison County Treasurer in 2010, Kurt, a Certified Public Accountant, used his talents in finance and acquisitions at various companies throughout the Midwest. His travels brought him to Edwardsville, Illinois, where he lives with his wife, Rita, and their three teenagers. George Schoedinger is Director of Operations for World Wide Technology in St. Louis, MO. World Wide Technology is a global systems integrator with operations in North America, Europe, and APAC. Prior to WWT, George was Director of Supply Chain at SensoryEffects Flavor Systems, VP of Business Development, Universal Printing Company and CEO and Owner of Pinnacle Printing and Distribution. George’s leadership style focuses on building community within his teams, setting goals, measuring performance and managing the results. He has three children with his lovely wife Carol. Brett is the Senior Market Manager of Community Engagement with the American Cancer Society (ACS); specializing in collaborating with community-based business executives to assist them in generating a more positive corporate image and increased customer loyalty and engagement. His mission is to partner with corporate executives/professionals by first listening and then identifying ways in order to help them team-build, create healthy employees and to maximize their brand in the communities where they are located. On a personal note, Brett enjoys giving back to my local community. Brett currently serve as a school board member of O’Fallon Township High School District #203, the Community Service Chair of Sunrise Rotary, and a committee member of the O’Fallon-Shiloh Chamber of Commerce Health & Wellness and Member Services. Brett also volunteers for the American Cancer Society, Friends of Wings and the World Pediatric Project. Sarah Durbin of Edwardsville has been named chief execute officer of Girl Scouts of Southern Illinois. She replaces Villie M. Appoo, who is retiring from Girl Scouts after serving as GSSI’s CEO for 7 years. Durbin has extensive background in strategic planning, financial management, business and organizational development and fundraising. Before serving as GSSI CEO, Sarah was the executive director for Statewide Independent Living Council of Illinois. She earned her Bachelor of Science degree from MacMurray College in Jacksonville. Sarah is a Girl Scout Lifetime Member and earned the highest Girl Scout award, First Class, now called the Girl Scout Gold Award. Her past leadership roles included being transitional vice president for Girl Scouts of Greater Chicago and Northwest Indiana, chief human resources officer for Girl Scouts Prairie Winds in Lisle, and chief executive officer for Girl Scouts of Whispering Oaks in Brookfield. In 2015, Ronda Sauget was appointed as the Executive Director of the Leadership Council Southwestern Illinois. In this role, she is responsible for identifying and mobilizing leaders in business, industry, labor, education and government, and building effective partnerships to address regional economic development issues, often playing a leadership role in advancing those initiatives that top the Leadership Council’s priority list. Dr. Sauget has served with the Leadership Council for many years as an Executive Committee member, as well as on most of the current committees. She is a past Vice President (2012), President (2013), and Chairman (2014) of the Board of Directors. In 2016, Ronda Sauget was appointed by the 8th District Federal Reserve Bank of St. Louis to serve on the Workforce Innovation Task Force for the district. Also in 2016, Ronda Sauget was selected and serves as the 1st Honorary Base Commander of the 375th Air Mobility Wing, Scott Air Force Base, IL. In 2017, Dr. Sauget was selected and serves as the Air Mobility Command Civic Leader for Scott Air Force Base, IL. Prior to this role, Ronda Sauget brings to the Leadership Council over 20 years of experience working across industry sectors and consulting roles in strategic management, market research, and executive leadership. She was the President of her own firm, Validus Business Strategies LLC, started in 2006 and served for over 10 years as the Executive Director of Archview Economic Development Corporation attracting millions of dollars in new investment and creating hundreds of regional jobs in Southwestern Illinois. Formerly, she was a SVP and Corporate Director of the Competitive Intelligence group at Fleishman-Hillard International Communications, LLC, wherein she developed and directed one of the agency’s top revenue generating groups. In this capacity, she conducted hundreds of industry and competitive positioning research, analysis, and strategies for many of the agency’s largest domestic and international clients. Early in her career, Dr. Sauget worked in Market Intelligence for the 8th District Federal Reserve Bank of St. Louis wherein she conducted numerous monetary/public policy analysis, banking industry studies, and business development strategies. After completing her doctorate degree in 2012 in Strategic Management and Executive Leadership, she was recognized by the Midwest Academy of Management for her scholarly work and has received a significant number of professional awards. Dr. Sauget’s dissertation focus was on strategic partnerships and resource sharing in river, road, and rail industry segments. She also completed her MBA with an emphasis in Market Research with undergraduate double major degrees in Finance and Marketing from SIUE and an AS in Mathematics from SWIC. Dr. Sauget also has expertise in project management and strategic planning. Dr. Sauget has taught in the master’s programs at Webster University George Herbert Walker School of Business for past 8 years and Lindenwood University Accelerated Learning Program for the past 4 years. Dr. Randy Pembrook became the ninth chancellor in Southern Illinois University Edwardsville’s history on August 1, 2016. The Metro East native returned to the campus where he had earned both bachelor’s and master’s degrees. Before his return to SIUE, Pembrook served as the vice president for academic affairs at Washburn University in Topeka, Kansas from 2011-16. He was the chief academic officer at Washburn, working with faculty, staff, students and administrators from the College of Arts and Sciences; Schools of Applied Studies, Business, Law, and Nursing; the Washburn Institute of Technology; Mabee Library/Student Success Center and Academic Outreach. Pembrook worked closely with the directors of Washburn’s Center for Community and Civic Engagement, Center for Teaching Excellence and Learning, Honors Program, Leadership Institute, Mulvane Art Museum, Office of International Programs, the KTWU Public Television Station, and the Washburn Transformational Experience Program. In his last five years at Washburn, the University implemented more than 15 new programs, such as the doctor of nursing practice, master’s programs in accounting, addiction counseling, communication and leadership, health sciences, and law; and bachelor’s programs in entrepreneurship and innovation, environmental biology and forensics. Before landing at Washburn, Pembrook served at Baker University for four years in several capacities, including executive vice president and provost, interim vice president for enrollment management, acting dean of the School of Professional and Graduate Studies, and special assistant to the president. He also has served as chief academic officer for Baker’s College of Arts and Sciences, School of Education, School of Nursing, and School of Professional and Graduate Studies. Before joining Baker in 2007, Pembrook was dean at the Conservatory of Music and Dance at the University of Missouri-Kansas City, where he also served as associate dean of the Conservatory, chair of the Music Education/Music Therapy Division, and Conservatory faculty chair, as well as chair of a four-campus faculty committee reporting to the University of Missouri System president. Pembrook earned an associate’s degree from Lewis and Clark Community College before achieving both a bachelor’s and master’s in music education/piano performance from SIUE in 1978 and ’80, respectively. He earned a doctorate in music education from Florida State University in 1984. A Greenfield native, Randy and his wife Mary Jo have two daughters, Sarah and Rachel. 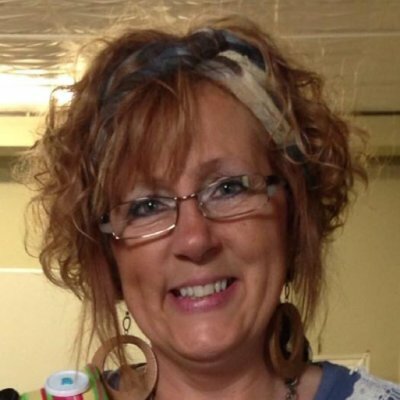 Tammy Iskarous – founder, Executive Director for Riverbend Family Ministries. Tammy says, she was created to serve because she saw a need to provide space for families that are hurting to get the help they need in a holistic, safe environment. Her mission is sharing God’s unconditional love with people by living my life with compassion, integrity, and dedication. Riverbend Family Ministries provides resources and training for smaller non-profit organizations in the Madison County area. They work together under one roof, providing families and individuals the tools they need to be self-sufficient. Their collaborative method focuses on holistic efforts for children, youth and families who’ve experienced trauma, most often due to violence, addiction poverty and homelessness. Madison County officials recently honored Riverbend Family Ministries (RFM) with the Model Leadership Through Service Award in the Organization category. The award was received during the M.I.C. (Model Innovative County) Summit in April 2017. Tammy received her BA in Christian Studies from Lincoln Christian University. Tress Kurzym is the founder and teaching artist for StagePlay Learning. A “transplant” to Edwardsville, Kurzym has over 15 years of theatre education experience. A graduate from Stephen F. Austin State University, Kurzym received her Bachelor of Fine Arts in Directing. As a directing student, Kurzym was chosen to study abroad in London, England where she assisted directors on London’s famed West End and studied a variety of theatrical techniques. After earning her degree, she was selected to work as an Assistant Director at Milwaukee Repertory Theatre and at First Stage Theatre Academy in Milwaukee, WI. Kurzym was then hired as a Development Associate for Houston’s Alley Theatre and worked with the Education and Community Outreach program for the Tony award winning theatre. As a Teaching Artist for several regional theatres, Kurzym realized that she wanted to teach theatre in the classroom. Under her direction at Austin High School, the department had 3 State Qualifying plays, 8 District championships, over 20 Tommy Tune Award Nominations; including two wins, and over 50 students that qualified for the national Thespian competition. Many of her students were fortunate enough to win scholarships to the top drama schools in the country (and abroad). As a community member, Kurzym has served on several theatres board of directors and advisory boards. She is a certified University Interscholastic League Critic Judge and the recipient of Texas Thespians Eric Bailey Award for Outstanding Director for the state of Texas.